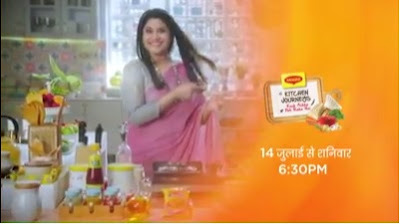 Zee TV has collaborated with its sister channel Living Foodz for a new weekend non-fiction show ‘Maggie Kitchen Journeys’ which will air from 14 July at 6.30 pm, every Saturday. The channel is opening up a new slot with ‘Maggie Kitchen Journeys’ during the weekend. The show will air the stories of those women whose dreams once began in the kitchen. This cookery based reality show will bring some inspiring stories of Indian women. Conceptualised by Living Foodz, the show goes along with Zee’s brand philosophy of Aaj Likhengey Kal Naya. It will be hosted by popular actress Renuka Shahane and Shraddha Arya and feature real-life stories of women who found their identity through cooking.